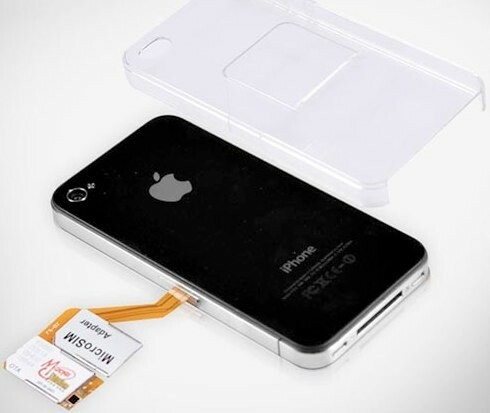 The adapter fits right into the case itself while being connected to the SIM slot of the phone. Then all that's needed is to go to the Settings menu and enable the SIM you want to use. Unfortunately you can run the two at the same time but it makes changing between the two a breeze. This is the BEST iPhone case. It showcases the Apple logo. Everyone knows that you have an iPhone. does it works for iphone 3gs? This one looks great, and the dual sim feature is undeniably amazing!